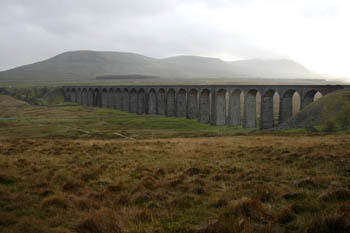 There’s early notice of the chance to walk across the famous Ribblehead viaduct – without being mown down by a train. It’s not yet confirmed, but the Friends of the Settle-Carlisle Line hope to organise a walk across the iconic Victorian structure while the railway is closed for maintenance. Sunday, 22 July this year is when the organisation hopes members of the public can stroll across the viaduct, in the shadow of Whernside, one of Yorkshire’s Three Peaks. Tickets for the event are not yet on sale, so don’t pester the group yet. We’ll keep you posted.